While most books examine only the classical aspects of hydrology, this three-volume set covers multiple aspects of hydrology, and includes contributions from experts from more than 30 countries. 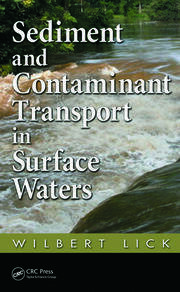 It examines new approaches, addresses growing concerns about hydrological and ecological connectivity, new quantitative and qualitative managing techniques and considers the worldwide impact of climate change. It also provides updated material on hydrological science and engineering, discussing recent developments as well as classic approaches. Published in three books, Fundamentals and Applications; Modeling, Climate Change, and Variability; and Environmental Hydrology and Water Management, the entire set consists of 87 chapters, and contains 29 chapters in each book. Students, practitioners, policy makers, consultants and researchers can benefit from the use of this text. Saeid Eslamian is an associate professor of hydrology at Isfahan University of Technology, Iran. He received his BS in water engineering from Isfahan University of Technology in 1986, his master’s degree in hydrology and water resources at Tarbiat Modares University, Tehran in 1989, and his PhD in civil engineering at the University of New South Wales, Sydney, Australia in 1995. He is the founder and chief editor of the International Journal of Hydrology Science and Technology and the Journal of Flood Engineering, and has contributed to more than 300 publications. He has received two ASCE and EWRI awards from the United States, and an outstanding researcher award from Iran. "The work has a variety of strengths including well known and respected authors… The selection of topics is both complete and timely. 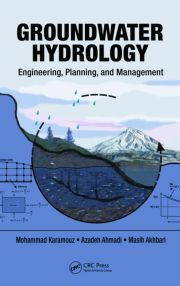 In my opinion, everyone in the field of hydrology will need easy access to this book since it is the only book that I am aware that provides a holistic view of a critical subject." "This handbook is well updated and it covers various aspects of environmental issues, climate change, water resources development and water resources management. Moreover, this handbook contains new techniques used in statistical hydrology, such as Multi-variate L-moments, copula, and geostatistics, as well as new information-based techniques such as the application of IT in hydrology." "…written in a professional manner. The list of references is sufficiently comprehensive… From the contents of particular volumes it seems that the book shall cover all main problems of modern hydrology." "The book is written by more than 200 authors from all over the world, who are well-known experts in their fields of study. To my mind, this is the advantage of the book; it is based on the case studies of different geographical locations, climate, geology and hydrology. It allows the reader to find the proper information concerning specific natural conditions and also to widen the knowledge about hydrology of foreign countries." 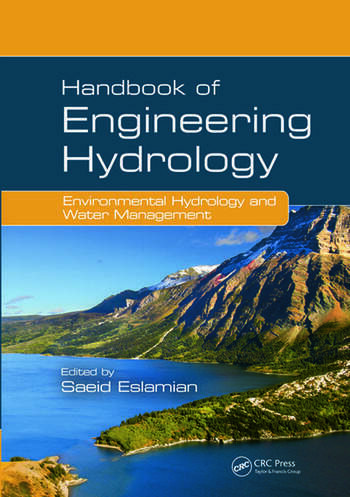 "With the utilization of modern technology and research studies, this handbook is definitely a gem for those interested in advanced engineering hydrology. … Each volume covers renowned research studies and topics from many different fields, thus providing a complete guidance to hydrological science and engineering." "I think this handbook can be considered as a serious work… This volume can be useful as a handbook of isotopes application in hydrology for people who are starting [their] investigation in hydrology.